The Florida Gators come into EverBank field for their Halloween date with the Georgia Bulldogs, and come away with a 27-3 victory putting them one step closer to becoming the SEC East champions. 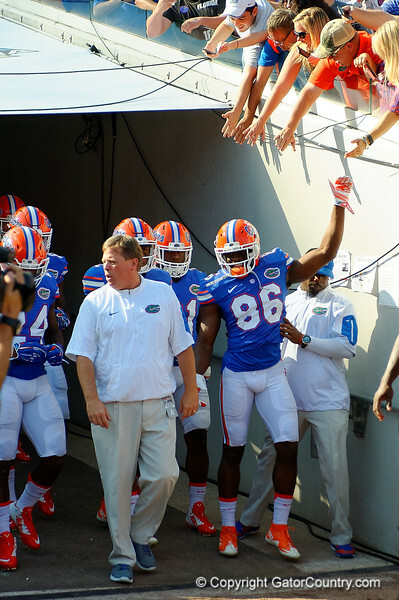 Florida Gators head coach Jim McElwain and the Gators come out of the tunnel as the Gators spook the Georgia Bulldogs with a 27-3 win at EverBank Field. October 31st, 2015. Gator Country photo by David Bowie.